"The collaboration SWT brought to the design process was tremendous, as was the overall quality, care, and attention to detail." Engaging art conservators, historic preservationists, and archaeologists added to the uniqueness of the project. 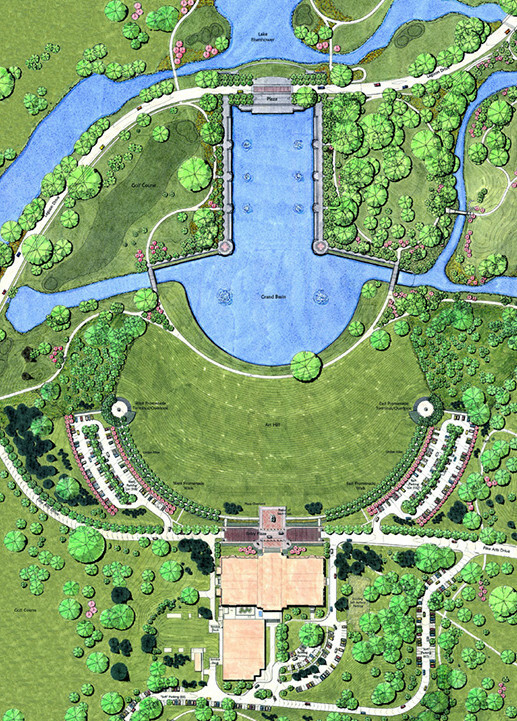 World-renowned landscape architect Dan Kiley worked closely with the design team to restore the site to its former grandeur. 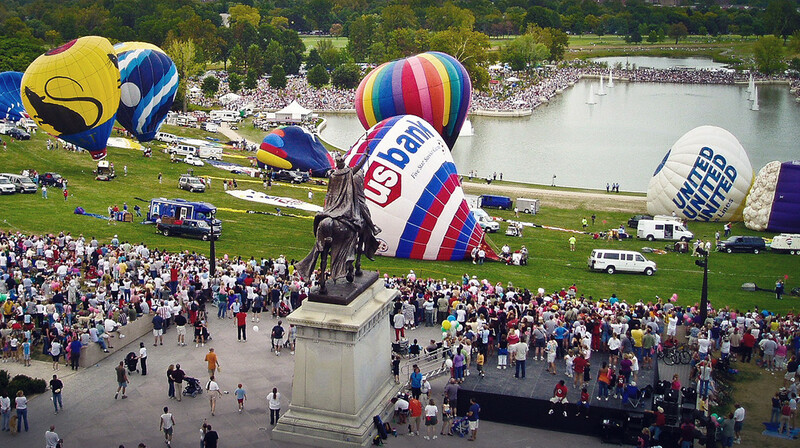 The design team conducted extensive research on the 1904 World’s Fair, drawing inspiration from what previously sat upon the hilltop. 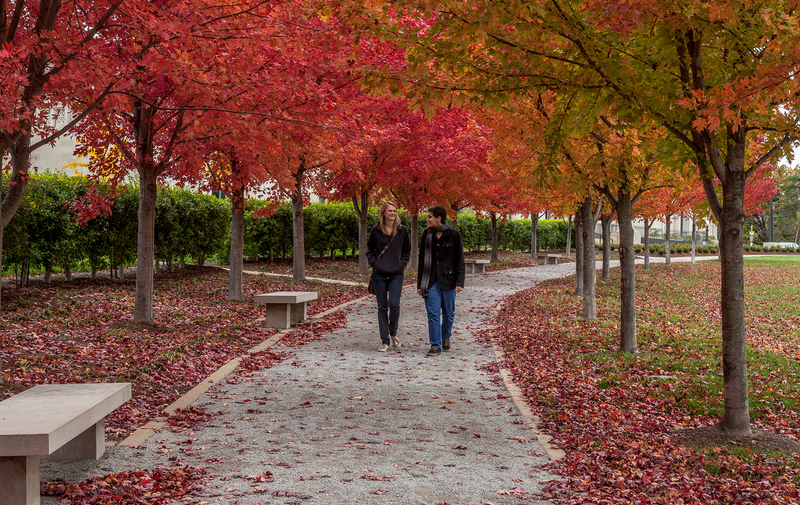 The grand scale called for simple, large- scale plantings that provide a striking contrast to the picturesque beauty of the park. These improvements have only bolstered the prominence of what was already considered an established icon. 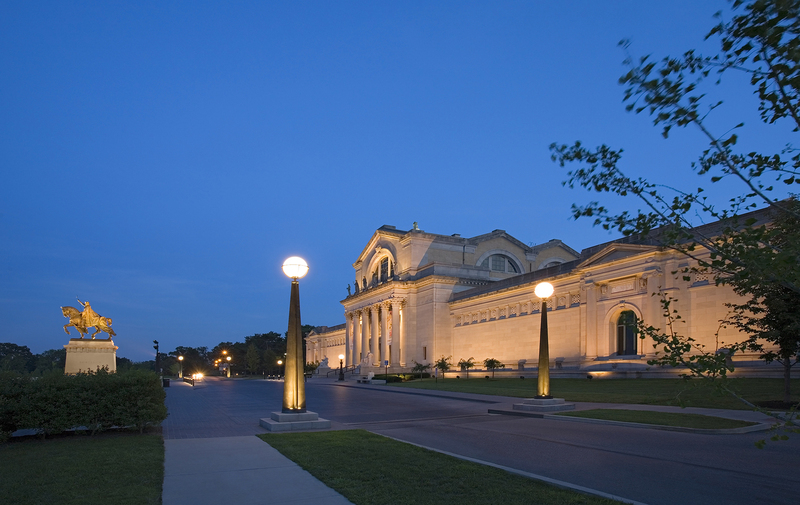 For more than 100 years, the Saint Louis Art Museum has stood atop Forest Park as a physical and prominent reminder of the 1904 World’s Fair. 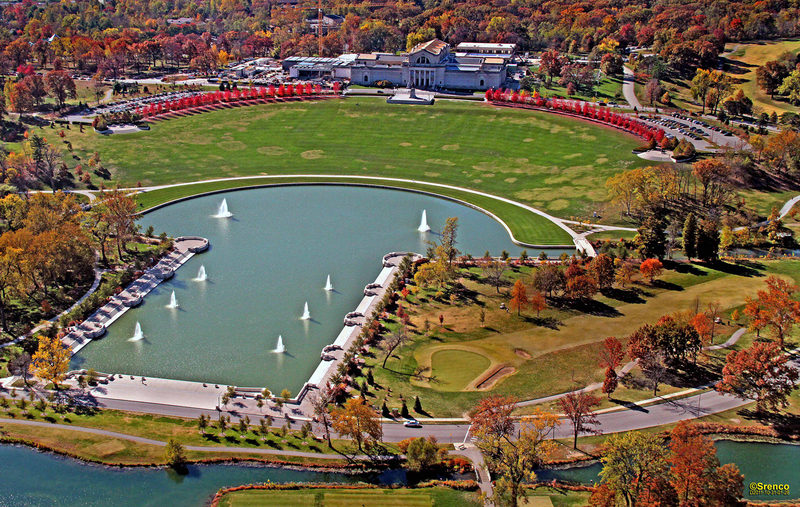 The museum and its site, known now at Art Hill, served as the fair’s center piece and became the focal point of the 1,200-acre park. 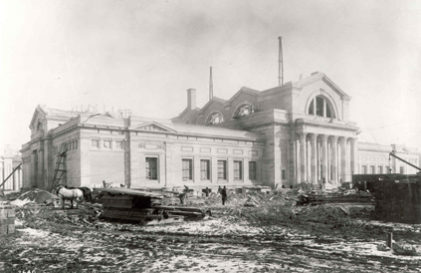 Following the fair, however, most of the site fell into disrepair without thought for its future use. 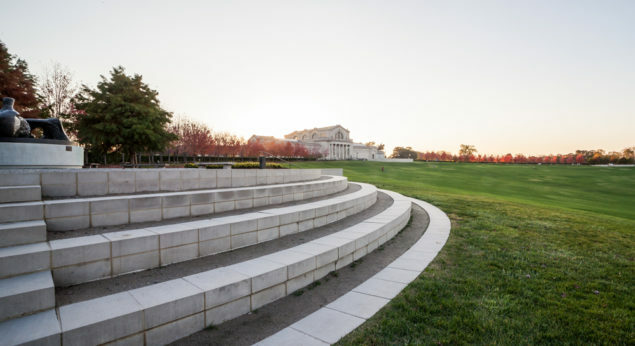 To honor the fair’s centennial celebration, a park-wide revitalization effort brought improvements to Art Hill that would restore the space to its former grandeur, and create a new iconic front door to the museum. Fine Arts Drive was narrowed and converted into a granite-paved terrace of the grandest scale surrounding the historic statue of the city’s namesake, King Louis IX. 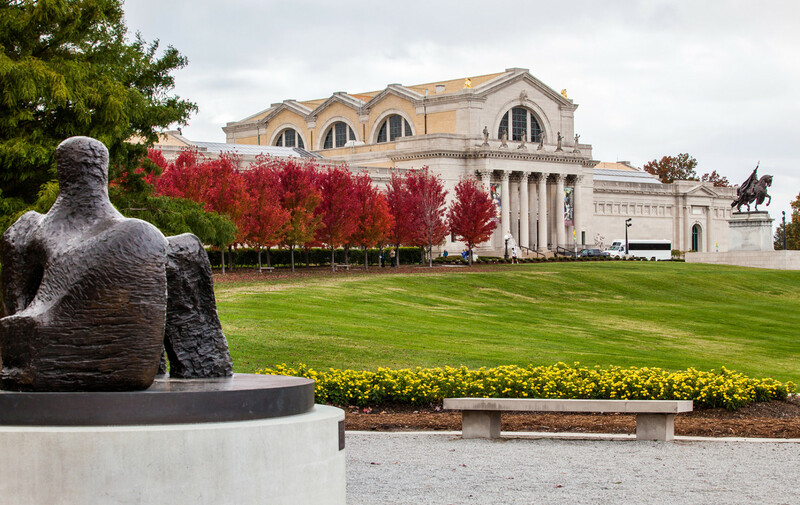 The timeless design of the plaza is simple with details reflecting the Beaux Arts vernacular of the museum. 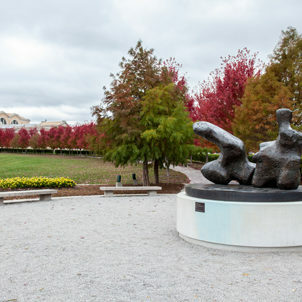 Twin pedestrian promenades lined with a formal bosque of trees radiate from the statue, and terminate each at symmetrical sculpture plinths. 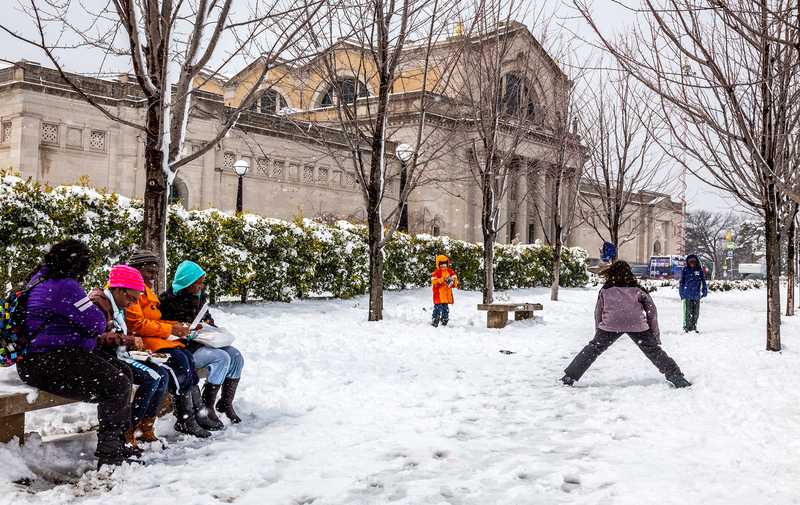 From here, visitors get a glimpse back to the museum and down to the Grand Basin. 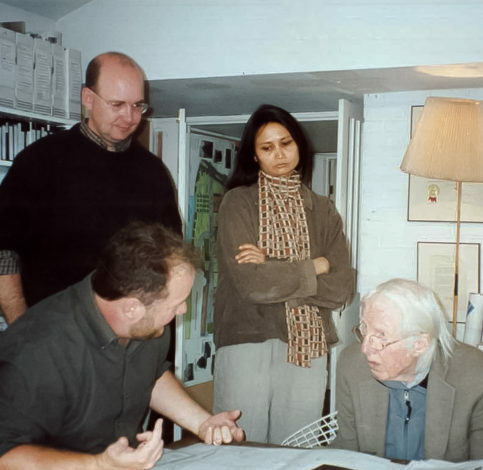 "To be involved in the renovation of this iconic space in close collaboration with one of our profession’s most influential practitioners was an experience that has perfused itself throughout so much of our proceeding work."